Home News trending Scientific life shining stars Technology The Microsoft Surface Studio PC announced for $2,999, coming this holiday!!! 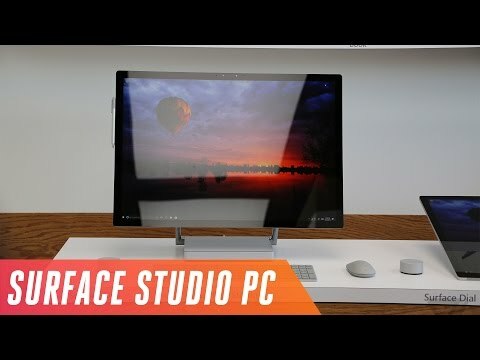 The Microsoft Surface Studio PC announced for $2,999, coming this holiday!!! Microsoft's Surface family has officially expanded to include the desktop. 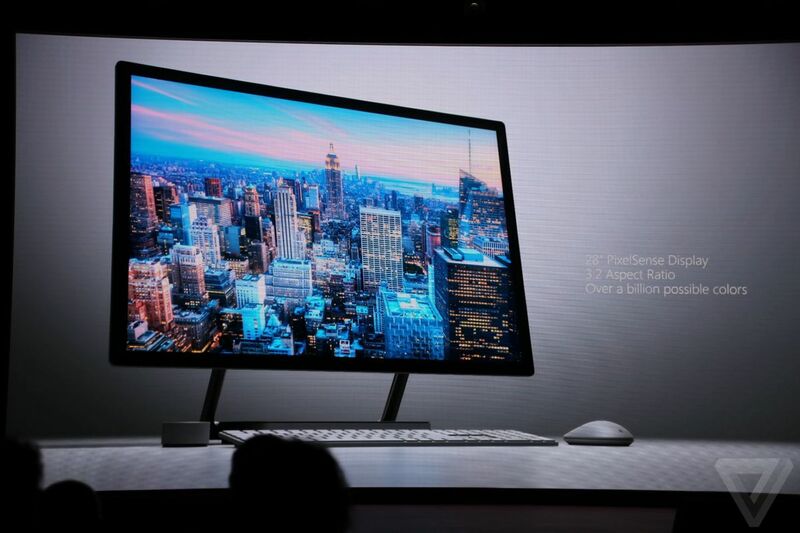 The company just announced the Surface Studio at today's event in New York City. It will be available "in limited quantities" this holiday for $2,999, $3,499, or $4,199, depending on hardware options. Preorders begin today, and the Studio will also be showcased in Microsoft retail stores ahead of its release. "We totally believe that Surface changes the way you produce, the way you create, the way you learn," said Panos Panay, who leads Microsoft's devices team. "The product I'm going to show you is all of that — but it's one step further. It's going to seem familiar, but it's going to feel different." He then unveiled the Studio, with an all-in-one form factor touted as having the "world's thinnest LCD monitor ever built" at 12.5mm. That touchscreen display is contained in a forged aluminum enclosure and measures 28 inches across. The display outputs 13.5 million pixels, according to Panay, which is 63 percent more than a 4K television. "It's got the best screen in its class," Panay said. The Surface Studio supports expanded color output – critical for photographers, videographers, and designers. Microsoft refers to this as "TrueColor." The display has a 3:2 aspect ratio with 192 pixels per inch. It's powered by Intel's 6th generation processors and, graphics-wise, has an Nvidia GTX 980M GPU in the premium model, with a 965M in the lower-priced configurations. The Studio's hinge allows for the display to be adjusted to a 20-degree orientation that's convenient for drawing or marking up Word documents. "These chrome arms were meant to completely fade into the background," said Panay. The Studio supports a variety of peripherals including the Surface Pen and a new radial accessory, the Surface Dial, that can be placed directly on the Studio to trigger menus and other features like adjusting volume, screen brightness, or scrolling through a document. There's also built-in palm rejection for the touchscreen, allowing users to avoid false inputs and interact with the Studio comfortably. Its base has numerous connectivity options: audio, SD card, Mini DisplayPort, ethernet, and 4 USB 3.0 ports. There's also a built in microphone array, making it easy to activate Cortana, the built-in Windows 10 assistant, from across the room. Microsoft's main push with the Surface Studio is all about creativity, with a huge focus on 3D. Its unveiling comes alongside the announcement of the Windows 10 Creators Update. The Creators Update aims to make creating 3D content quick and easy for the company's millions of Windows 10 users. It'll include the biggest-ever update to the classic Paint app, now called Paint 3D, and more updates are on the way — including for apps in the Office suite. "Over the next year, you will see us integrate 3D across our most popular Microsoft applications," said Megan Saunders.